It is a small cozy 24-seater outlet. 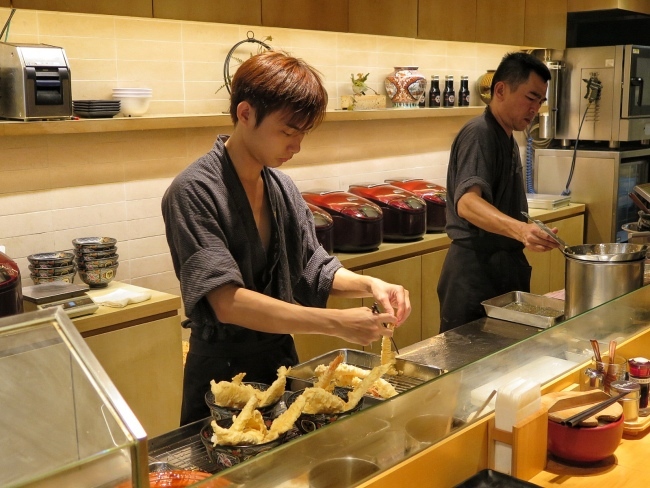 All of the customers just sit around the counter and watch the chefs whipping up the delicious Tendon. There is already a queue when we reach there. They will only allow you to go inside if the whole group has arrive. 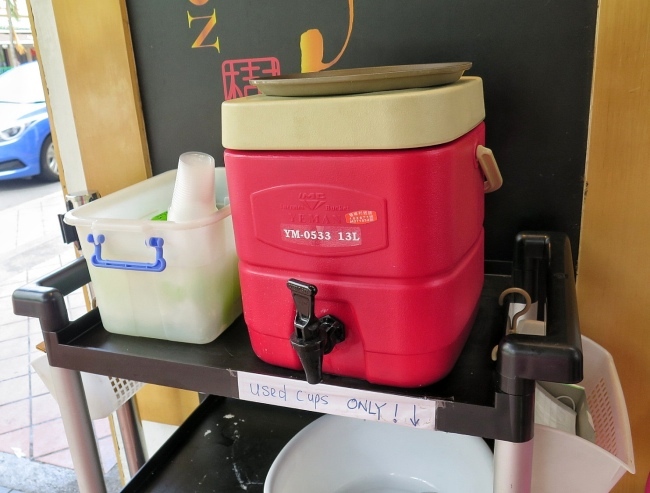 You can help yourself to the cold tea provided while you queue there. The orders were taken while you queue outside. This will shorten the time taken to serve you the dish. 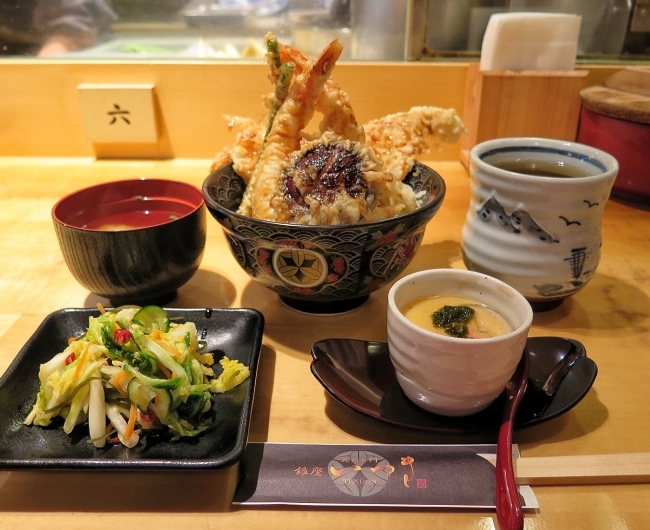 They only have 2 food options - Special TENDON (Tempura on Rice) and Vegetable TENDON (Vegetable Tempura on Rice). I feel this makes the ordering and cooking process very simple. 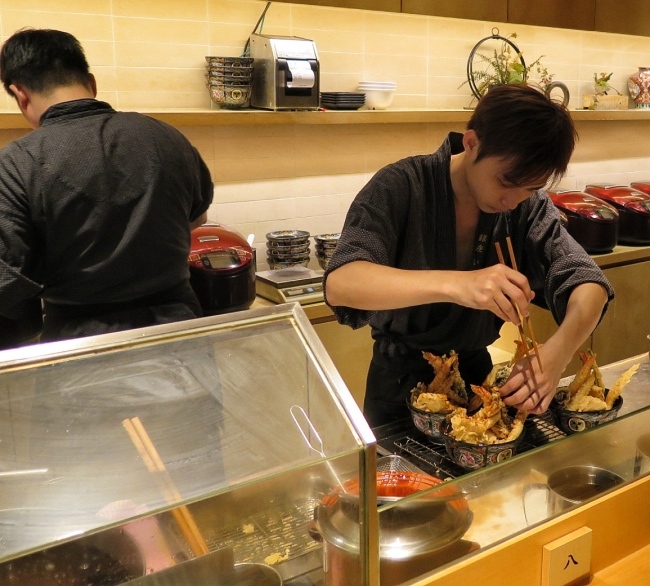 The staff can focus and perfect the cooking of the tempura. 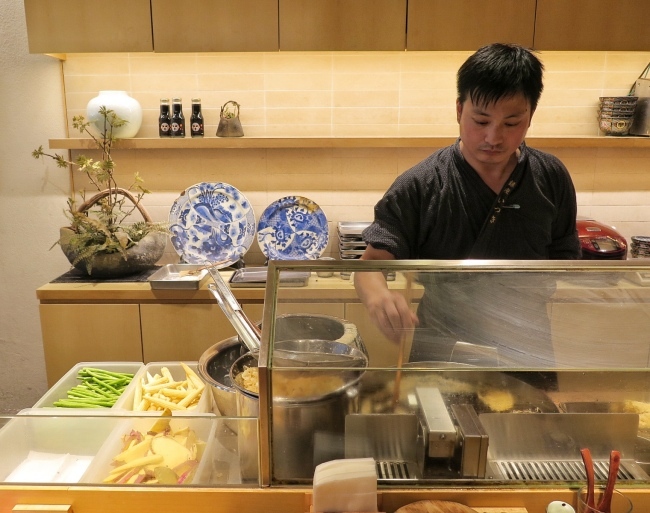 You can also watch the chefs whipping up the tendon. The down side of this is we all smell like tempura after we finished our meals. Haha. However, it is still worth it. 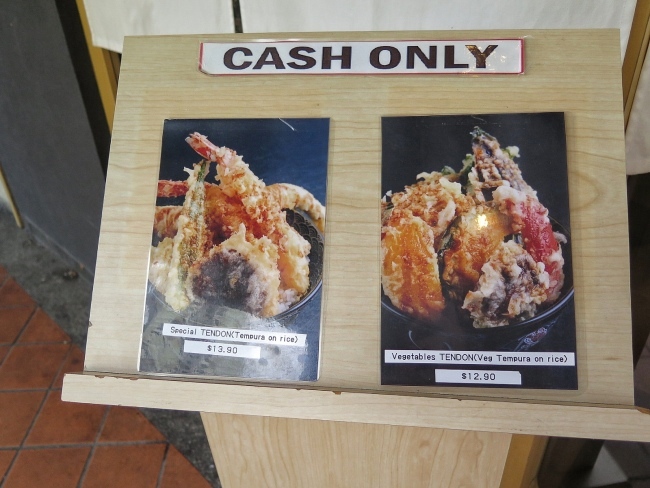 We ordered their Special TENDON (Tempura on Rice) set - S$13.90. The portion is very generous. 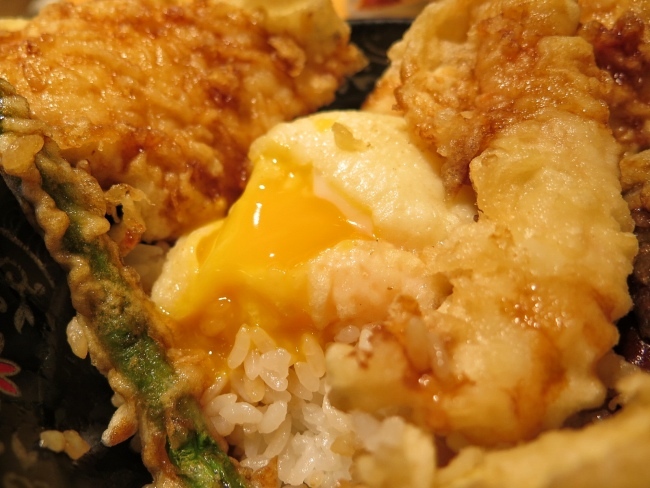 There were 2 pieces of Prawn, 2 pieces of Chicken, Half-boiled Egg, and 4 pieces of Vegetables piled on top of the rice. Drizzled with Their Tendon Sauce. 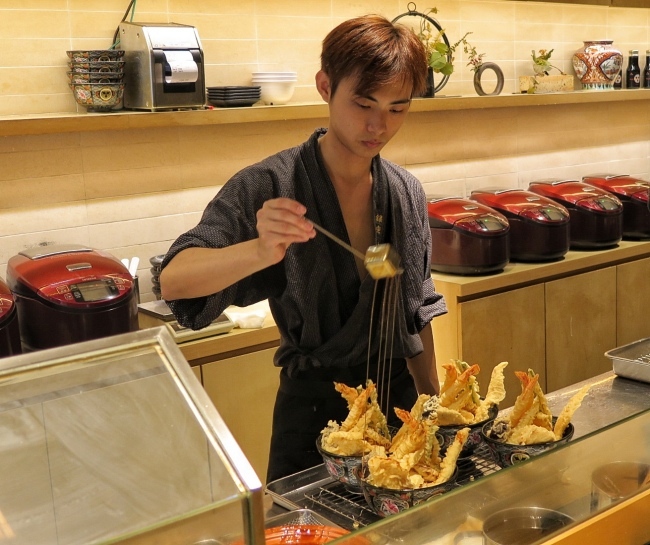 The tempura are only fried when you order. Hence, they are all very fresh and hot when they serve. The batter is not too thick. Just right for me. The prawns were very fresh and the meat were not too dry. 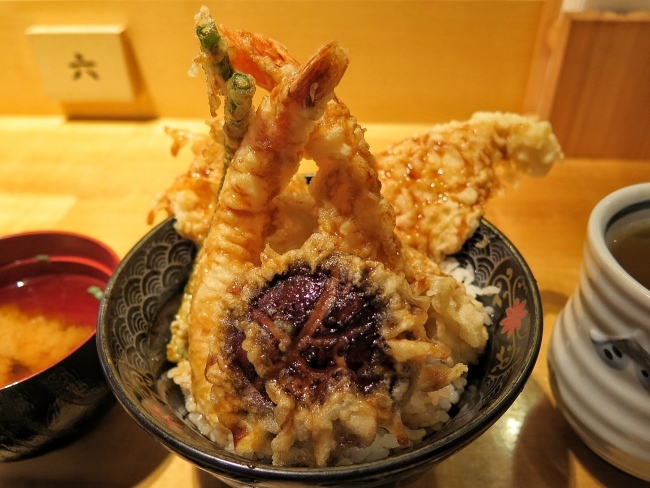 The tendon sauce also bring the tempura to another level by maximizing the tempura flavor. 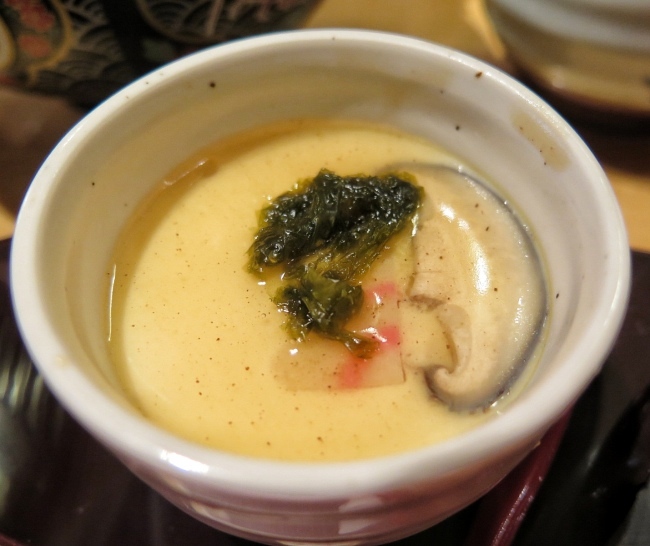 It also comes with steamed egg and miso soup. The Pickles on table are complimentary. They also have the Vegetable TENDON (Vegetable Tempura on Rice) - Pumpkin, Shiitake Mushroom, Lotus Root, Eggplant, Other Vegetables 4pcs. 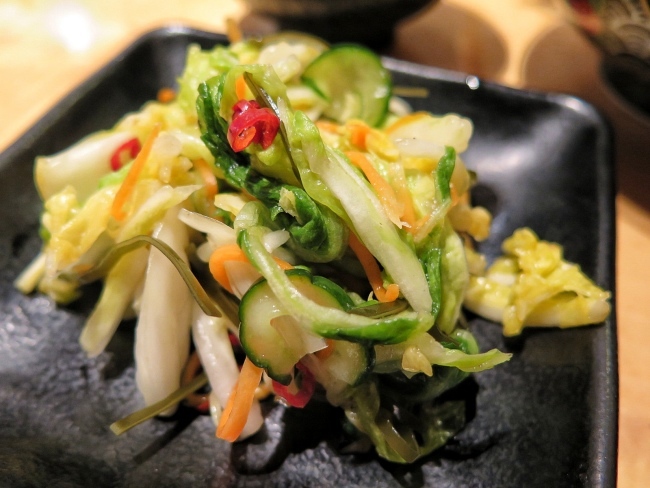 Great for Vegetable Lovers. 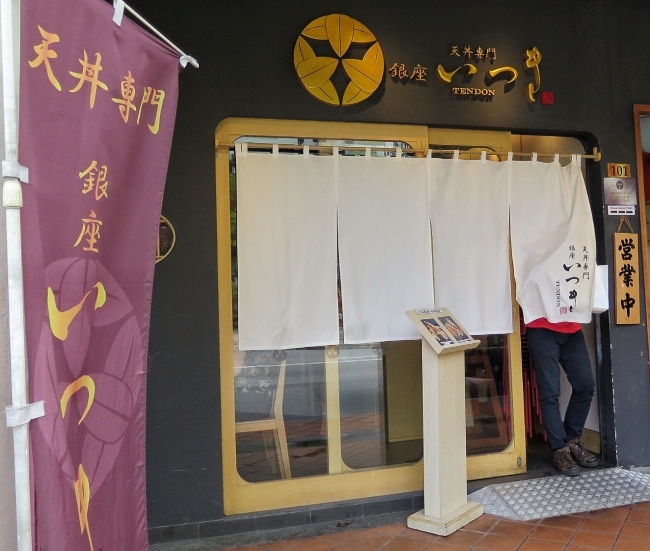 Ginza Tendon Itsuki at Tanjong Pagar ~ A Very Value for Money Delicious Tempura place. Great place to satisfy tempura craving. 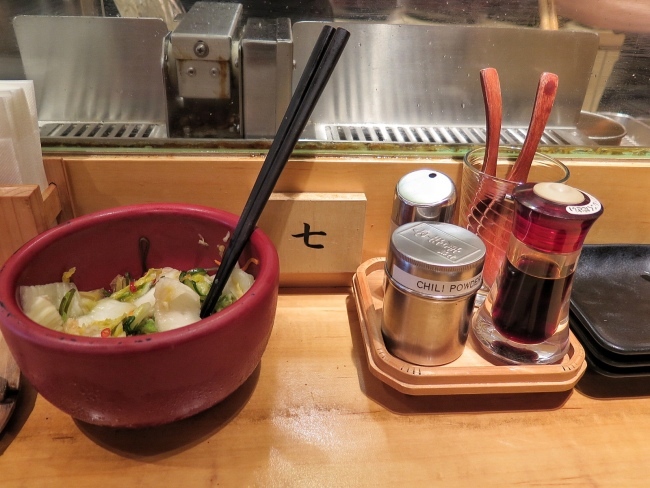 Ginza Tendon Itsuki is always very popular and there is always long queue. Do be early or late to avoid the lunch or dinner crowd. 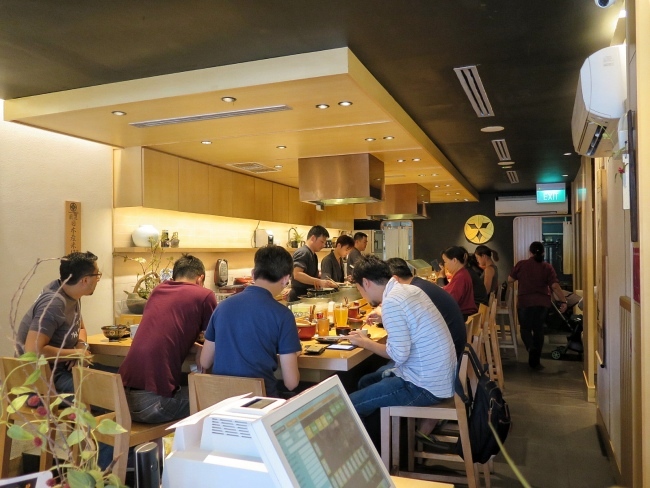 It is also within walking distance (less than 10 mins walk) from Tanjong Pagar MRT. Hence it is still quite accessible. Great efficient service with piping hot crispy tempura. Love it!